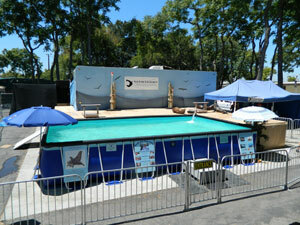 "Watched two sea lions Nemo and Ariel perform and interact all day. I don't know why but I haven't been so moved in my entire life. I know it sounds silly but I started to tear up watching them interact with their trainers. The connection between them moved me beyond measures. One of the most beautiful things I've EVER seen." WE ARE THE ANIMAL PROFESSIONALS THAT YOU CAN BE PROUD OF!!! 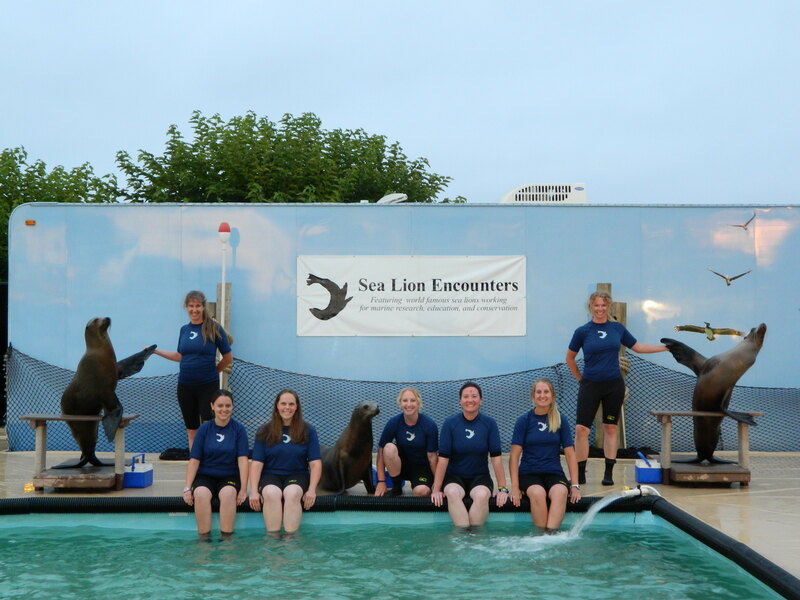 Sea Lion Encounters is a one-of-a-kind, transportable marine exhibit spectacular that offers sea lion ambassadors to inspire and delight audiences while providing an educational marine conservation outreach program. The presentations feature dynamic multiple animal shows centered around conservation messages. 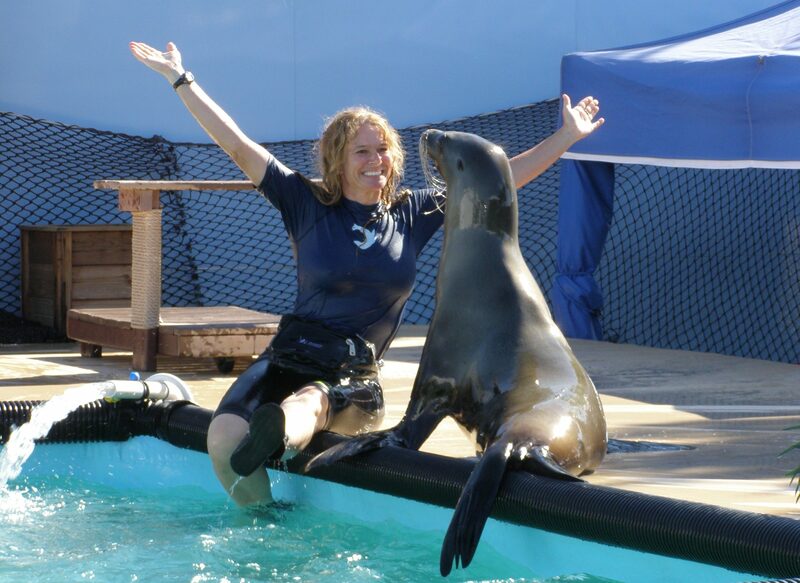 These "edutainment" experiences include exciting sea lion behaviors like ball balancing and handstands, amazing leaps and jumps, and an inspiring in-water interaction between trainer and sea lions. 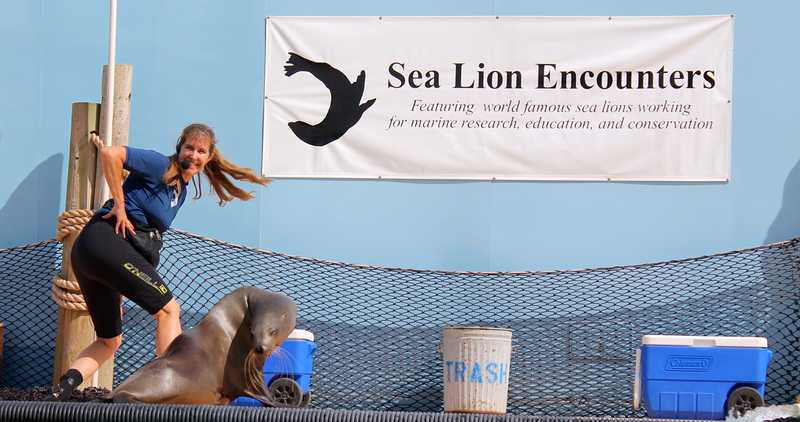 These heartwarming performances are mixed with inspiring stories of the rescued sea lions lives and fun ways for everyone to get involved in preserving our planet. To fully enjoy the Sea Lion Encounters experience, we offer sea lion kisses, photos, interactions and merchandise for people of all ages. Kiss Photos with our sea lions are available for one (age 4 and older) and for groups of 2 to 6 people (all ages) . We also offer duplicates, photos on disk, and 8"x10" blow ups. Deluxe Interactions with sea lions are available and include a "Kiss photo," the chance to play either Frisbee or ball with the sea lion, and the once in a lifetime opportunity to touch and find out what sea lions actually feel like! A variety of merchandise is available including: sea lion artwork, marine mammal themed plush toys, necklaces, pint glasses, postcards, magnets and stickers. All proceeds go directly to the care and maintenance of our rescued animals. It’s a great way to support important education, conservation and research projects and spend a day with the whole family!! !